Shooting practice can be costly, and not just due to range fees. Putting rounds on targets is essential to developing shooter proficiency and confidence, but quality ammunition is expensive. 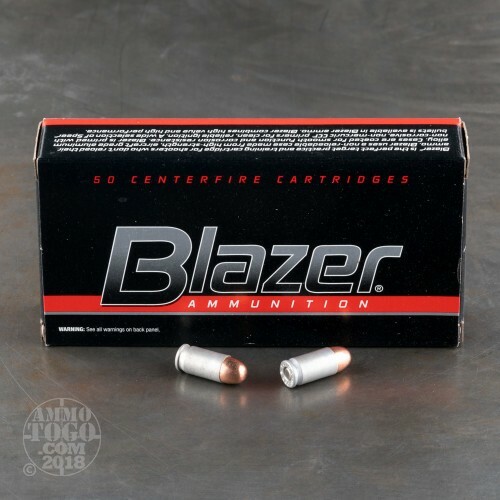 If practice seems too pricey, Blazer ammunition is an affordable option that doesn’t compromise on quality. The case is the most expensive part of every cartridge. 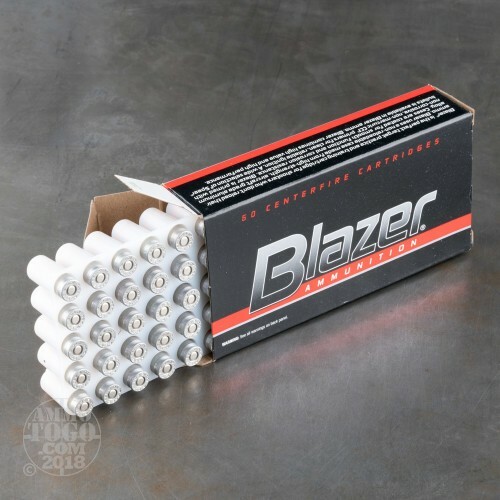 Blazer cartridges use economical aircraft-grade, heat-treated aluminum. This ammunition delivers the performance and reliability of brass-cased practice ammo, but at a fraction of the cost. 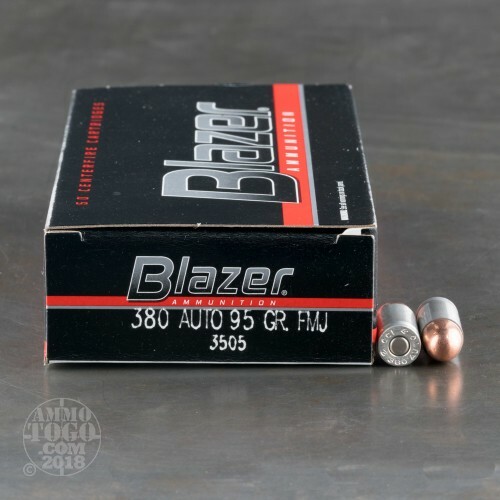 A smart option for the high-volume shooter, this package contains 1000 rounds of Blazer .380 ACP (Auto) ammunition. Each cartridge is loaded with a 95 grain total metal jacket (TMJ) projectile manufactured by Speer. 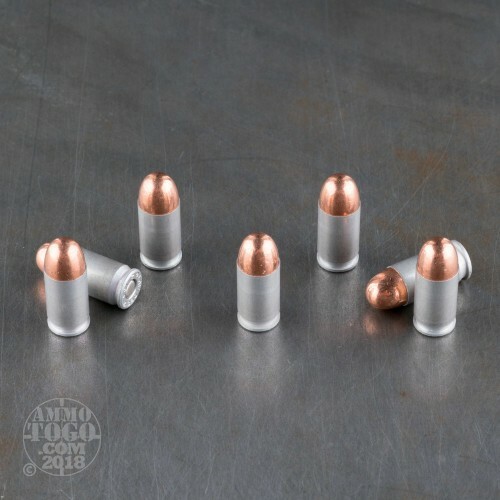 Perfect for indoor shooting, these bullets feature a copper jacket that fully encapsulates the lead core to minimize lead exposure and provide cleaner shooting. This non-corrosive, new production ammunition features clean-burning CCI primers. Each round produces a muzzle velocity of 945 feet per second and a muzzle energy of 188 foot pounds. posted on 1/15/15 by Bob B. Shot 50 rounds of this today at the range through a new Ruger. No problems at all with the aluminum casings, all the rounds fed nicely and loads seemed pretty consistent.